This was a good follow up to book one and it was nice to come back to the series after a long break. 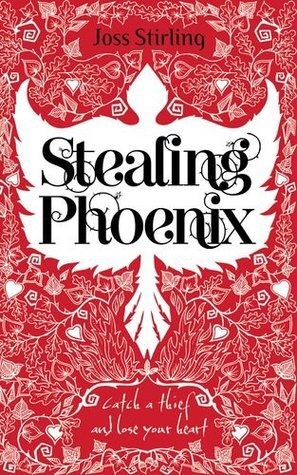 Initially, I didn’t warm to Phoenix’s character as much as I had Sky and Crystal (I’d actually skipped this book when I read the others in 2013, thinking that the story in the third book sounded better than this one, so I read them out of order. Strangely, that isn’t an issue really with this series as each book is in a different location and comes as first person narrative from a different female lead each time). Anyway, in the first few chapters it was the action and pace that kept me going. Phoenix’s world is not a pleasant one and her life is hard, so I think that’s why I struggled to enjoy her story. However, once she meets Yves and the whole ‘soul finder’ thing kicks in, you see the best parts of her character and strengths that she doesn’t see in herself normally. When you read a first person narration from someone who isn’t confident, I can see why they are hard to like…they don’t like themselves. It’s only when you begin to see the true character of Phoenix, reflected back into the story through her interactions with Yves that you get to see the best in her. I will admit, I’m not sure what I think of the ‘soul finder’ thing in this book. It feels more forced than the other two I’ve read, where the characters have at least some interaction with one another, before the soul finder part happens. It’s quite like the ‘imprinting’ thing in Twilight (which I really didn’t like in that series because of the weirdness with age differences, etc.) Anyway, with soul finders, they have to be a Savant (magical person, of course) and be born around the same time, the idea being that they are two parts of a single whole, thus the drive to get together in the first place and soul mate importance of holding onto that person when you found them… It seems that not many Savants find their special person under normal circumstances. Anyway, if you hate ‘instalove’ this might put you off, although it’s interesting seeing how Phoenix questions the bond and impact it has on her for much of the book, so it’s not too cheesy on that side of things. As with the other books in this series, the writing is good and action/twists abound as you go through the story. The savant/supernatural parts are good, but not over relied on for the action, and the relationship between Phoenix and Yves is interesting, very differnt from the pairings in the other books. I really liked Yves…how his mind seems to work, his approach to life, and firey spirit, which contrasts strongly with the logical, academic, side of his personality. I’d really like to see a snapshot book from his point of view, like you saw in ‘Challenging Zed’, to see what he’s like when it’s not through the filter of Phoenix’s eyes. This entry was posted in Reviews and tagged 4*, benedict series, joss stirling, Savants, Stealing Phoenix, ya book, ya review 4*, YA supernatural on June 14, 2015 by mel.